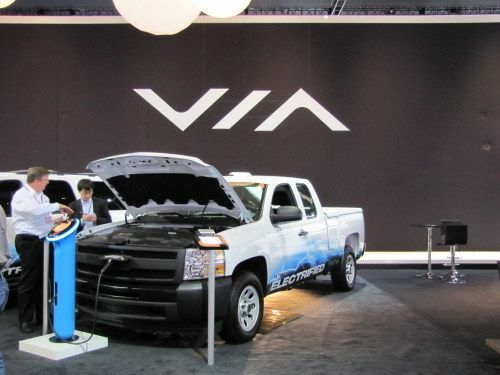 VIA shows commercial truck application of electrification at NAIAS 2012. This is the same company that Bob Lutz sits on the board. And I got to meet my former GM director, Joe Katona, as he now works for VIA.